← Privatized Banking: What Kind of Policy Do You Use? Although Trump’s Tax Reform cut taxes in many ways, millions of Americans will see taxes increase in 2018. The lower standardized deduction and the $10K cap on deductions for SALT (State and Local Taxes) will primarily affect those in the upper-middle to mid-upper class. Consequently, tax planning is becoming a growing priority for an increasing population. But for one of the most common tax-minimizing tactics, the Roth IRA, the luster is wearing thin as its limitations are becoming increasingly apparent. 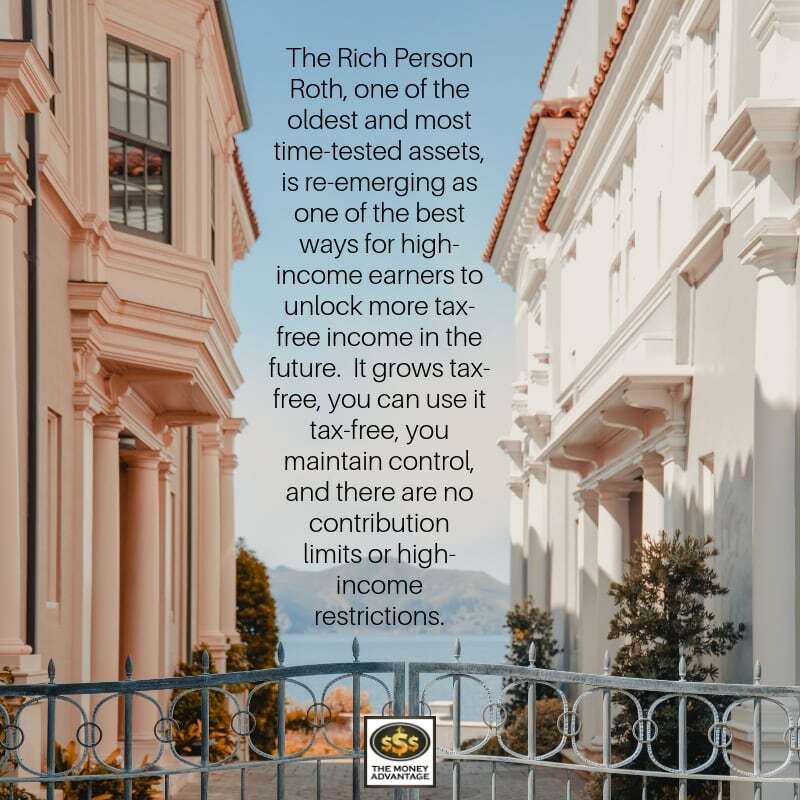 In its place, the Rich Person Roth is taking center stage as a strategic tool to reduce current and future income taxes, as articulated by David Rae, in the Forbes article, Rich Person Roth: For The Most Tax-Free Retirement Income. This article discusses how the Rich Person Roth beats a basic Roth IRA and how it overcomes the biggest risks to your financial security. Then it opens a candid dialogue about why it isn’t for everyone. In addition to discussing the points of this article, we’ll help you think through how best to reduce income taxes and create a future of time and money freedom. While tax law changes have everyone on high alert, grappling for how exactly they will be affected today, the discerning are already calculating future impacts. To widen our view of how to handle current and future taxes, let’s talk about the three ways money set aside for the future can be taxed. One strategy is to find financial tools that defer a tax. Here, the investment is made pre-tax, lowering taxable income in the year the contribution is made. However, income taken from these accounts later is taxed at whatever future tax rates will be at that time. Familiar accounts in this category are 401k’s, 403b’s, IRAs. While suppressing and placing a bandage on an immediate concern, tax-deferred assets create more uncertainty for the future. What will tax rates be at that time? How will I be impacted? How much money will I have, how much tax will I owe, and what will be left? Another type of financial tool is a taxable asset. With a taxable account, you put in dollars that have already been taxed. As your money grows, the growth is taxable income. Accounts like checking, savings, money markets, and securities fall in this category. The growth is taxable each year. In the early years, growth is small, and the taxes are fairly insignificant. But as these accounts grow over time, the taxes due can become hefty. Most people don’t pay the taxes out of the account, but instead, must find a way to pay the taxes due out of their current income. Because of the tax implications of both tax-deferred and taxable accounts, many are seeking respite in tax-free assets. These accounts offer the ability to set aside already-taxed dollars in an account that will grow tax-free and be able to be used tax-free. With these vehicles, you have a limit on your tax. What you pay in tax today is all you’ll ever pay. For the forward-thinker, the rich person roth works the best to minimize your future tax burden. IRA’s are often thought of as the champion of tax-free income planning because they fall in the tax-free category. However, they fail the high-income earner in several ways. First, not all of your Roth IRA is accessible, should you need to use your cash before age 59 ½.
You’ll have to wait until your money has been invested for 5 years to access the money tax-free. And then, you can access the contributions, but not the growth, unless you pay IRS taxes and penalties. Then, the 2019 contribution limit is $6,000/year, or $7,000/year for catch-up contributions if you’re at least 50. If you maxed out your contributions each year, you would hardly accumulate enough to produce an income equal to what you make now. Imagine if you contributed $6,000 per year for 40 years, earned a 5% return every year. You would still only accumulate about $725,000. If you continued earning 5% on your account every year during distribution, you could withdraw $3,843/month from age 65 to age 95, a total of $46,116/year, before you completely depleted your account. However, by the end of your life, inflation will have eroded your purchasing power. Accounting for an inflation rate of 3%/year, your new standard of living would feel like about $18,996/year. And those numbers are if you completely deplete your account. If you hoped to live off the interest, it’s recommended that you take out only 2% per year to preserve your principal. That would give you only $14,500/year in income. Either way you slice it, that’s hardly sufficient to maintain a middle to upper-class lifestyle you may expect. Finally, and most importantly, there are income limits that prevent high-income earners from contributing to a Roth IRA at all. In 2019, for a single person, modified adjusted gross income must be under $137,000/year to contribute to a Roth. In addition, a phase-out reduces your contributions if you make more than $122,000. For those married filing jointly and qualifying widows(ers), MAGI must be less than $203,000, with the phase-out beginning at $193,000. So, if you make too much money, it puts you above the threshold, and you’re excluded from using a Roth IRA altogether. 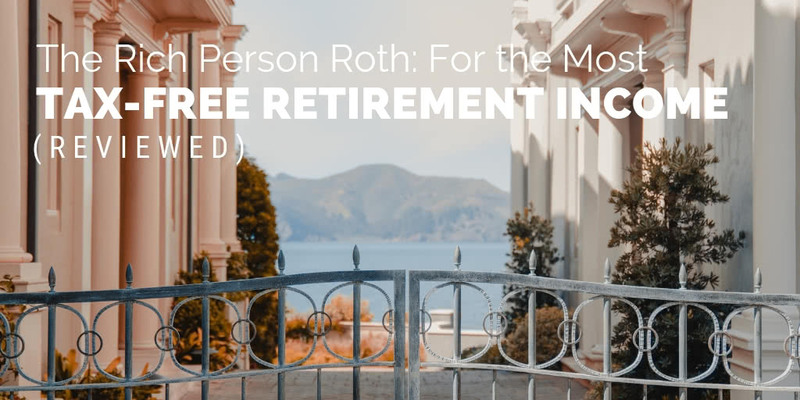 The Rich Person Roth, one of the oldest and most time-tested assets, is re-emerging on the scene as one of the easiest ways for high-income earners to unlock more tax-free income in the future. Like the Roth IRA, it grows tax-free, and you can use it tax-free. Outperforming the Roth IRA, you don’t give up control, because you have access to your capital. There are no contributions limits so you can put in as much as you want. And there are no high-income restrictions. Additionally, it’s not only available to the super-rich. While some of the wealthiest Americans have chosen to park some of their hard-earned wealth into this asset, anyone can use it. And the amount of tax-free income you can get in the future is limited only by how much you’ve put in. What Is a Rich Person Roth? So, what exactly is the Rich Person Roth? It’s another name for an IRS-sanctioned cash value whole life insurance policy. The Rich Person Roth goes by several other names, too. 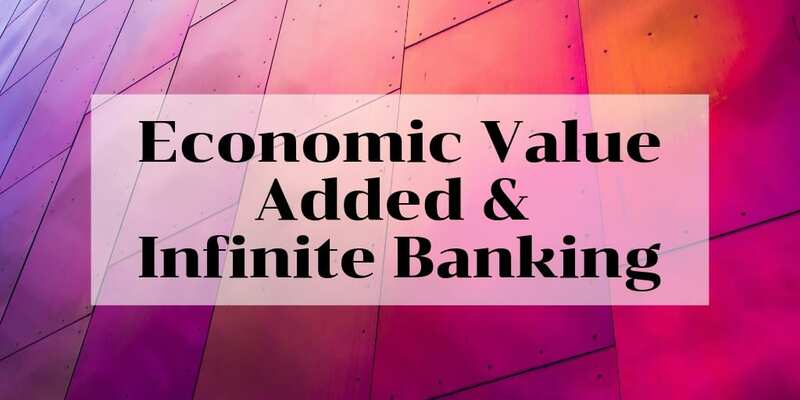 You may have heard of Infinite Banking, Privatized Banking, Cash Flow Banking, Life Insurance Retirement Plan (LIRP), Rich People Roth, Richer Man’s Roth, Specially Designed Life Insurance Contract (SDLIC), or even a 7702 plan, which refers to the actual place in the IRS code that makes life insurance cash value, through dividends and interest, tax-free. It is important to note that not all life insurance policies work the same way. Only the conservative fixed-rate whole life insurance policy performs as discussed here. Not only does the Rich Person Roth give you tax-free access with guaranteed policy loans up to 100% of your available cash value, but the death benefit is also income tax-free to your heirs as well. The Rich Person Roth isn’t just for men. It has a tremendous benefit to women as well. Women live longer, giving their assets more time to compound tax-free. Actuarially, that works out to a lower cost of insurance. The benefit is that women build cash value more quickly and get a higher death benefit compared to men, with the same funding amount. In most retirement planning accounts, the risks of future unknown taxation, stock market risk, and longevity risk are ever-present. If taxes rise, or the stock market drops, or if you live longer, you have less money to live on in retirement. The primary advantage of the Rich Person Roth is that you overcome those risks. Instead, you don’t have to pay tax on your money again, so you cancel the risk of a tax hike spoiling your usable cash. 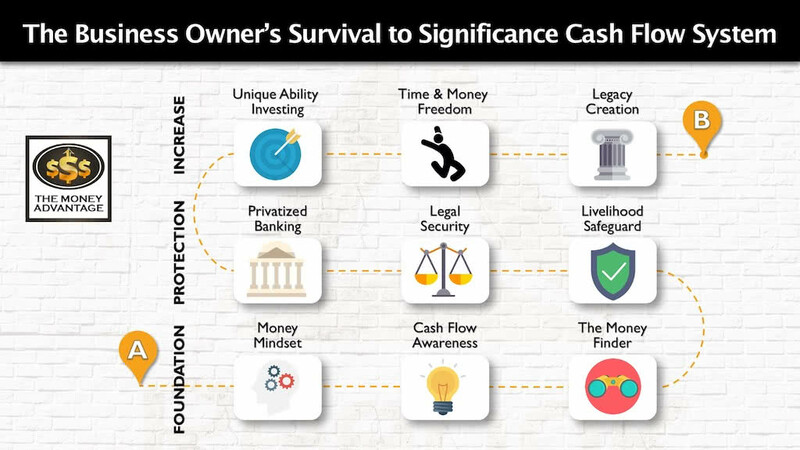 Your cash value is not linked to the stock market, so downturns can’t reduce or level your wealth. And because this policy will be with you for your whole life, living longer isn’t a risk that compounds your other risks. Instead of using only interest from other accounts to preserve principal, you can spend down the interest and the principal, knowing that the death benefit will be there to replenish the legacy you leave to your heirs. Life insurance also allows you the opportunity to use a reverse mortgage for income, and still have an asset to backfill your legacy, even if you use up all of your home equity. You don’t have to let taxation lessen the enjoyment you get from your money. You can use it for personal income, gifts to the grandkids, or taking a vacation, all without paying tax. This gives you the freedom to use and enjoy your money, for whatever you wish. Because income you receive tax-free is not reportable on your tax return, it does not increase your taxable income. Consequently, it won’t push you into a higher tax bracket. A lower taxable income also saves you money in other ways. For instance, Medicare Part B costs more as your income increases. Lower income reduces your cost for Medicare Part B, keeping more dollars in your pocket during those later years. To convert your life insurance policy into an income stream, you have three primary options. You can take a loan against your available cash value. And just because it’s a loan, doesn’t mean you have to pay it back. It will accrue interest, but as long as the total loan plus interest doesn’t surpass your total available cash value, your policy will remain intact. The death benefit will be reduced by the outstanding loan, and the balance will be paid out to your heirs. Secondly, you can take the cash value out in a withdrawal. Thirdly, you can have the dividends paid directly to you as income, rather than being added back into the policy. Another way to utilize cash value for income is to do it indirectly by using your money in two places at once. 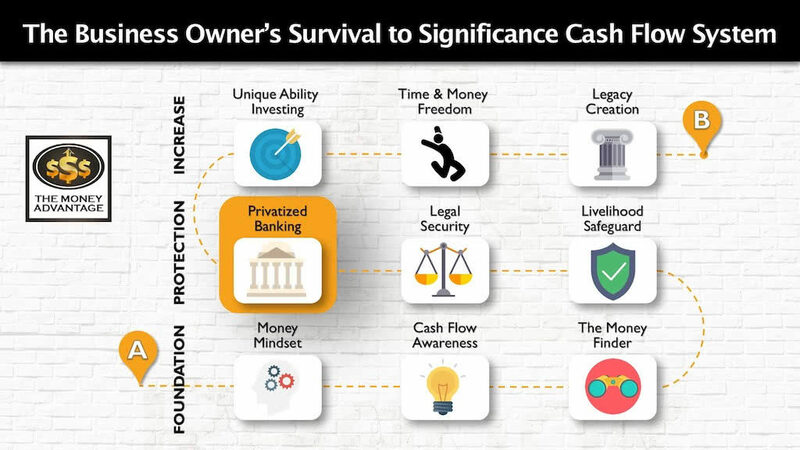 Rather than using the money for consumption, turn it into production by using life insurance loans to purchase a cash-flowing assets like a business or real estate. 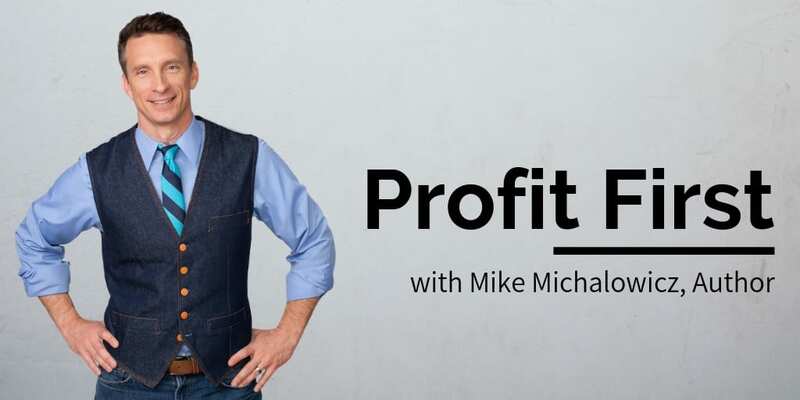 With this strategy, your money inside the policy will continue earning dividends and interest, and you’ll also be gaining an income from other assets at the same time. There are a few downsides to using a Rich Person Roth. The contributions, or premiums you pay into the policy, are not tax-deductible. There’s no legal tool to avoid tax altogether. However, you are paying tax on the seed, instead of the harvest. Another sticking point for many people is that poor health will increase your cost of insurance or possibly prevent you from qualifying for a policy at all. A solution could be to place a policy on a spouse, child, grandchildren, business partner, or parent. Additionally, if you utilize a policy loan, yes, you will be charged interest. However, you can get close to a “zero net loan,” where you pay interest, but also continue to earn interest on all of your cash value at the same time, basically washing out the interest cost. As you consider your tax planning needs, could a full 360° analysis of your tax strategy help you minimize taxes today and in the future? How might life insurance be a tool you could use to park some of your wealth and reduce your tax liability? Make sure you’re getting a full education on what you want and need so you can be a savvy decision maker. 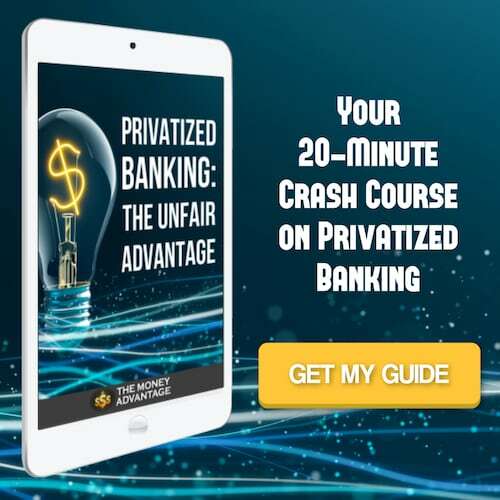 For more information on Rich Person Roths get our free 20-minute guide: Privatized Banking The Unfair Advantage. Finally, the Rich Person Roth, or specially designed whole life insurance, isn’t the answer for all of your assets. Determining how to maximize your income and minimize your tax requires a full assessment of your financial picture. 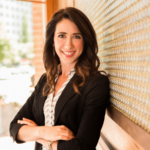 It’s important that you work with a like-minded financial team with the capabilities and specialists to help you truly accomplish your goals. Contact us to find out the one thing you should be doing today to optimize your personal economy and accelerate time and money freedom. When we talk, you’ll also find out how tax planning could help you reach your goals easier and faster.